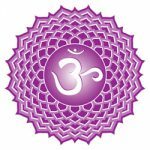 We all know the techniques and different ways of programming crystals but many of us may not be aware of Reiki Programming. So let’s see what is it ? Reiki Programming is a very simple yet very powerful technique. Reiki energy is transcendental, it works beyond time and space limit. This powerful feature of Reiki can be used to programme important events of our life. 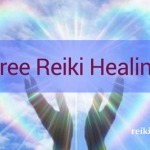 Suppose if you are not available physically, in a particular situation when a person or event requires Reiki, you can programme it before the actual event takes place. For example, if your family member or a friend of yours appearing for an examination, or a scheduled interview or a critical surgery… the list is endless. Sit in a comfortable position, relax yourself by concentrating on your breaths for few minutes. the process should be followed in a calm, peaceful , comfortable atmosphere. Take a paper, draw Power Symbol on four corners of paper, write down the event on a paper, with details such as date, time for the event, name of the person requiring Reiki. Say Attitude of Gratitude- Prayer . Call upon Ascendant Masters, angels and Archangels,.Dr. usui, your Reiki Master,to help you in this process. Take a Crystal Quartz and the folded paper, in your palms. Call upon Reiki . Draw all the symbols to which you are attuned to mentally on the paper and the Crystal. See all the symbols imbibed on the Crystal. give Reiki as long as you are guided to…go by your intuition . It’s ok if you are Reiki level 1 practitioner, and not attuned to symbols. Just ask for Reiki . Declare aloud or say in mind….the event or the person is receiving Reiki at the required date and time. Thank Reiki , Ascendant Masters and Angels . Archangels for their presence and help in this process. When done with this process, keep this programmed paper in a safe place, preferably in Reiki-Box. Now wear Crystal Quartz, as a pendant. As we have programmed this Crystal, now it carries the energy all the time with it. When we are writing our intention on paper, intention becomes more solid. We are using Crystals in this process, as Crystals have their own neutral energy and are able to absorb information, store the information and pass it on. Crystals have good memories , once programmed a Crystal, it is permanent, until we re-programme it. Hope you enjoy this article, and will use Reiki Programming in all your future events.